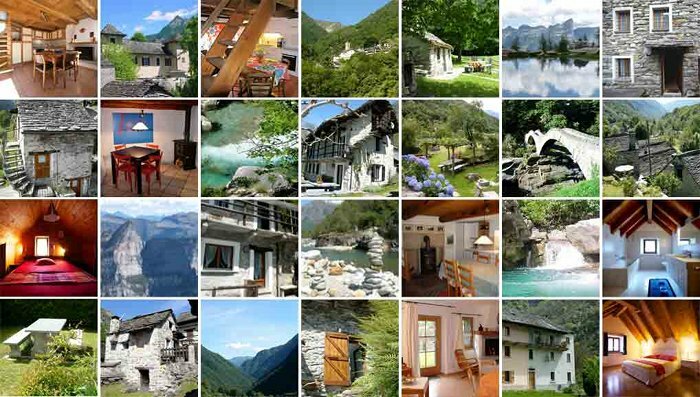 A holiday home - whether a traditional rustico / rustical house, or a modern vacation house - in the Verzasca Valley in the canton Ticino, surrounded by incredible nature of one of the most beautiful areas of Switzerland. The holiday home rental agency Verzasca Rustici Sagl, with a professional and warm advice, will help you spend quality vacation with our offer of various accommodation types: rustico (traditional stone house), rustical house (stone house with modern elements such as roof) or a modern vacation home, depending on your needs. Our agency together with our parners wish to give you a warm welcome in Ticino and in the Verzasca Valley.